What do Youth need? A simple answer like the Wi-Fi password or food might suffice for a few of my friends. But most of us would be unaccounted for. This leads me to demand other needs like access to clean water, safety and security, access to healthcare and education… The list goes on and on. Our needs are different as they are shaped by our life experiences. But there is one underlying essence that we all share – our ability to dream. We need vision and inspiration to feel empowered. To be liberated from the imprisonment of indifference. There is nothing more dangerous than being Indifferent to the power that we possess to change the future. There was a study on how to train a flea. To train a flea – you simply need to put it in a jar and close the lid. The flea will jump up and hit the lid several times until it learns to jump high enough not to hit the lid. The next day – you can remove the lid, but the flea will never jump higher than the jar for the rest of its life. That’s how it is with youth. Some have ‘hit the lid’. They have seen others ‘hit the lid’ and have become conditioned to not dream beyond the jar. Why are we in the jar in the first place? Some of us have faced obstacles in our pursuit towards our dreams. We have ‘hit the lid’ several times to a point where we know just how high to dream without hurting ourselves. Some of us have become so indifferent and complacent to our reality that we’ve stopped dreaming. Or put in the necessary work because we feel pessimistic when opportunities present themselves. But what is opportunity without preparation? I’ll let you decide. When I was in high school, I had an inclination that I would study overseas. I didn’t know how I would afford it as I had been raised by a single mom – who happens to also be my sister. My sister took me in when I was six-years-old: two years after our mother had passed away. I became her ‘first born’ and she later had her own children. Finances were tight, but I still wanted to study overseas. How? I didn’t care about the logistics then. When the opportunity came – I was ready! Hard work made me ready. Colin Powell said: ‘A dream doesn't become reality through magic; it takes sweat, determination and hard work”. Let’s consider the ‘opportunity’ to be Wi-Fi. If everyone is given Wi-Fi access some might use it ‘effectively’; others might abuse it; others might not use it at all. It all boils down to intent. Intent that I’m choosing to equate to dreams. If your intensions aren’t there to help you to become more effective you might miss the power of Wi-Fi. Similarly, if you don’t have dreams you might miss the opportunities that are staring at you in the face. But your ability to dream extends just to where your exposure ends. Well it has been proven that we cannot desire something we have never conceptualised. I am going to ask you to create a colour, come up with a new colour. Your very own colour. Name it whatever you want to name it. Chances are the colour you have just created already exists. The colour you would produce is already in you; you would simply just bring it out. It’s the same way with dreams: we cannot dream let alone conceptualise the things that we have not yet seen. So, lets expose young people to a world of endless possibilities. Show them that there is a better version of what life could be. Let them dream! 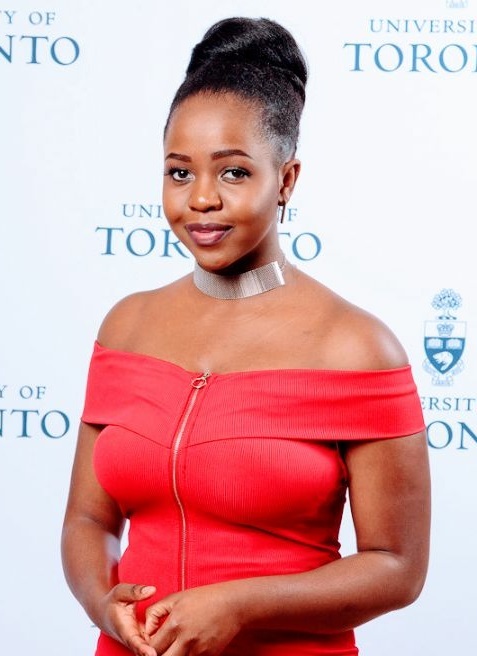 This blog was written by Faith Mvula, student at the University of Toronto and MasterCard Scholar, from South Africa.